Christmas is the best time to visit the Philippines! The season is celebrated with songs, gifts, flickering lights, food and a long season of yuletide events. Aside from the Christmas activities and attractions in (and near) Metro Manila that I posted few days ago, Here is my list of some of the must-see destinations, attractions, activities and things to do this Christmas season around the Philippines. Families and friends flock to Zamboanga City Plaza every night to watch the lights at the well-decorated Zamboanga City Hall. The lights somehow dance to the tune of Christmas carols with bubble machines accentuating every blink of the Christmas lights. The adjacent parks were also decorated with Christmas lanterns, lights and a huge nativity statue. You may read last year's celebration HERE. 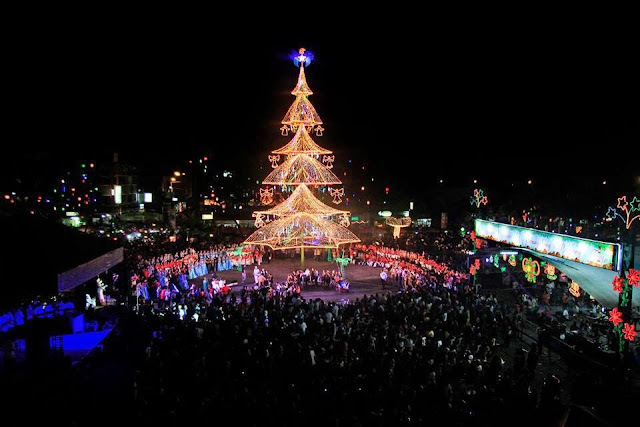 Located at the center of the Tagum City Freedom Park, the Giant Christmas Tree stands 78.56 feet (23.94 meters) and was decorated with thousands of multi-colored twinkling lights. An interesting symbol is the giant Eagle's Wings on top of the Christmas tree that stand out as one of its main highlights. This is the best time to visit the province of Davao del Norte! The Belenismo sa Tarlac continues to bring life into the Belen tradition. It is a province-wide tourism-inspired activity to foster livelihood projects from nativity art works of the locals. This annual activity has transformed Tarlac as the "Belen Capital of the Philippines". The competition spans to the different municipalities of Tarlac, so bringing a car will be the most convenient way to tour around and see the nativity displays. Kids and kids at heart will sgurely love this place Crosswinds Resort Suites in Tagaytay City is an ideal getaway for families and friends searching for a peaceful and serene escape away from the hustle and bustle of the city life. When staying here, don't miss visiting Santa's House in their Christmas Village. Indeed, at Crosswinds Tagaytay, everyday is Christmas! Click here to see room rates at Crosswinds Resort Suites Tagaytay and book online. 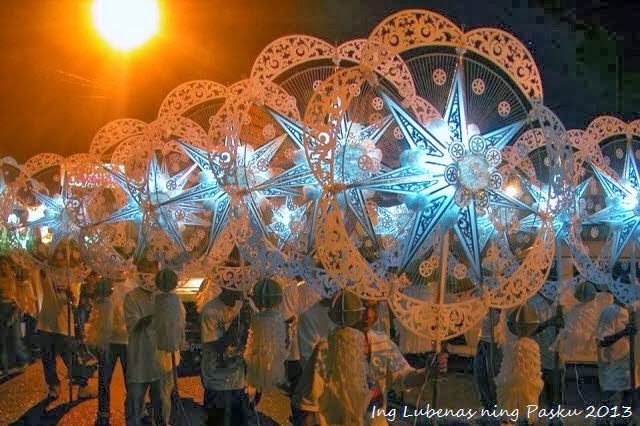 Alongside with San Fernando City's Giant Lantern Festival, on December 14, 2013 the streets of Angeles City will light up as lanterns intricately decorated with delicate lace patterns in a cultural parade of lanterns to celebrate Christmas season. This year, 16 parishes/barangays will participate in the parade which will start at 7:00pm at the Plaza Angel, Angeles Heritage District, located in front of the Holy Rosary Parish Church. Read more HERE. 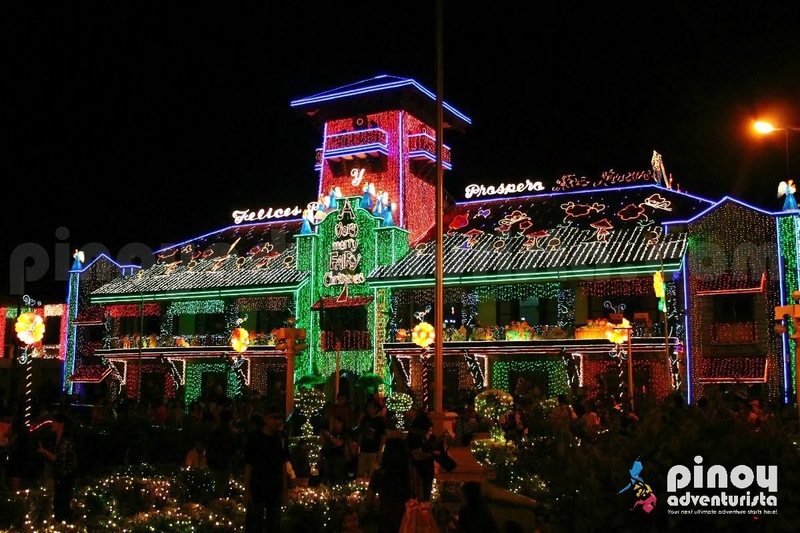 Dubbed as the "Christmas Symbols capital of the Philippines", Tangub city in Misamis Occidental will once again showcase gigantic Christmas symbols to celebrate the Yuletide season. Last December 1, 2013, 17 gigantic Christmas symbols with glittering lights were switched on as the start of the yearly festival. Since 1992, Tangub's Christmas symbols festival has become a tourist destination in the country during Christmas. The city of pines is known for its cool climate. It is frequented by tourists not just every summer but also during Christmas season for their "Christmas Village" which features artificial snow. It is an added attraction for tourists visiting Baguio City this Yuletide Season. 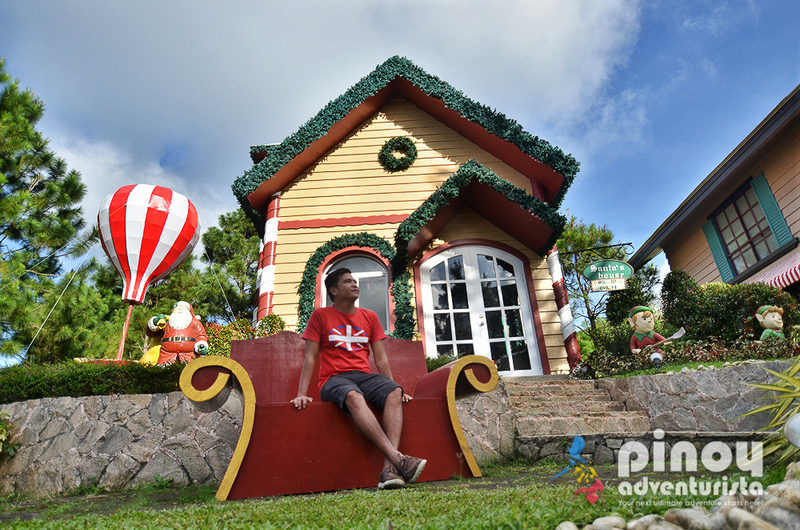 Visit Baguio Country Club's Christmas Village for a spectacle of lights and a shower "snow." If there's one theme park that you should visit outside the island of Luzon, that would be Gloria's Fanatasyland in Dapitan City in the province of Zamboanga del Norte. Enjoy the rides and the fun inside the park. Definitely a sure hit for the kids! Located at 506 Rizal Street, Poblacion, New Washington, Aklan. Approximately 15 minutes away from the Kalibo Airport, one of the highlights of the gardens is Jojo's Christmas Cottage which is a Victorian cottage that offers "Christmas Everyday Experience". It has become famous for celebrating Christmas all year round. Sampaguita Gardens offers more than just a destination but an experience. Christmas won't be complete without food! Eat to your heart's content and worry about your diet after. Indulge on bibingka and puto bumbong paired with salabat which are available almost everywhere in the country. These are just some of the most liked Christmas delicacies in the Philippines. Eat, celebrate and be with your family and friends! Christmas is definitely more fun in the Philippines! Maligayang Pasko po! If you have other suggestions, please don't forget to leave a comment below. Thank you very much!